Two Department of Physics faculty members have been named 2012 APS fellows: Professor Bruce Bunker and Professor Zoltan Toroczkai. 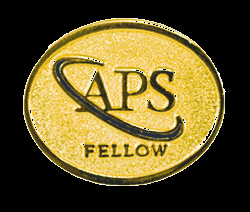 Any active APS member is eligible for nomination and election to Fellowship. The criterion is exceptional contributions to the physics enterprise; e.g., outstanding physics research, important applications of physics, leadership in or service to physics, or significant contributions to physics education. Fellowship is a distinct honor signifying recognition by one's professional peers. Originally published by Shelly Goethals at physics.nd.edu on November 20, 2012.